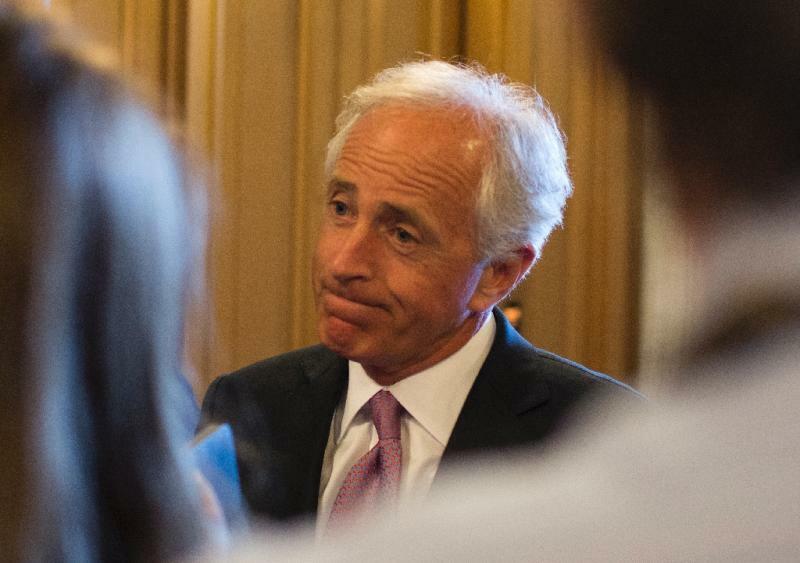 Washington (AFP) - Senate Foreign Relations Committee chairman Bob Corker said lawmakers left a briefing by the head of the UN nuclear watchdog agency "less assured" about the nuclear deal with Iran. "The majority of members here left with far more questions than they had before the meeting took place," Corker told reporters after an hour-plus briefing by International Atomic Energy Agency director general Yukiya Amano. "I can say from my perspective that it left me far less assured." 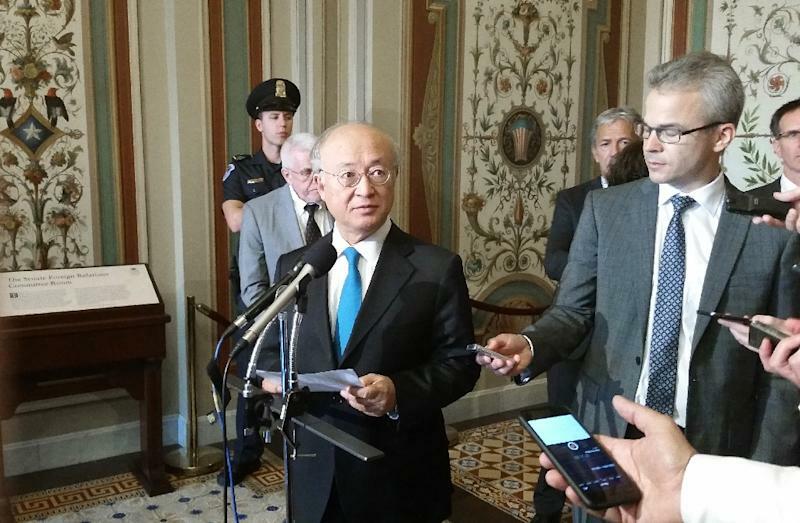 Amano traveled to Capitol Hill in a bid to assuage growing concern in Congress, where lawmakers will be voting in September on whether to approve the nuclear accord between Iran and world powers. In particular, he was to address two confidential side deals the IAEA signed with Tehran. Washington has described the side deals as "technical agreements," which are believed to include a deal about Iran's documentation of the alleged "previous military dimension (PMD)" of its nuclear program. Iran in July granted the IAEA tightly-controlled "managed access" to its military bases as part of the accord. The IAEA agreement is aimed in part at resolving suspicions about Iran's military facility at Parchin, where US lawmakers, citing intelligence reports, say Tehran conducted past nuclear work. Lawmakers have aired concerns about Iran's military capacity, and in particular what kind of access the IAEA would have to Parchin. "We can not get him to even confirm that we will have physical access inside of Parchin," Corker said of Amano. The IAEA chief told reporters he recognized the frustrations, but said he "explained that my legal obligation is to protect safeguards confidentiality." Should Congress approve the joint comprehensive plan of action and it goes into effect, Amano stressed, "the nuclear activities of Iran will be reduced in size, and we'll have the most robust verification regime in Iran." The top Democrat on the panel, Senator Ben Cardin, said it was important for members of Congress to at least be able to see key portions of the IAEA-Iran agreements. "I thought today was helpful, but it was not a substitute for seeing the document," Cardin told reporters. "I think there's previsions in the document that relate to the integrity of the review of the PMD that would be useful." Senate Republican David Perdue, a member of the committee, emerged frustrated at Amano's lack of detail. "The number one question we had was, are we going to get access to the two side agreements, and the answer was 'no'," Perdue told AFP, describing the nuclear deal with Iran as "troubling." Meanwhile Wendy Sherman, undersecretary of state for political affairs, testified to the Senate Banking Committee that she has read the side agreements and would share key details of them later Wednesday in a classified briefing to senators. Republican Senator Ted Cruz slammed the Iran accord after attending part of Sherman's briefing. "This Obama-Iranian nuclear deal is a bad deal, and it keeps getting worse," he told reporters. Cruz, also a White House hopeful, said the details revealed in the briefing "produce no comfort or security whatsoever." "This deal is not materially different from simply calling the Iranian supreme leader, asking if they're developing nuclear weapons, and taking his word for it when he says no," he said. "The idea that we would trust Iran to inspect their own facilities takes a level of gullibility and naivete that exceeds the standards even of the Obama administration." Obama meanwhile nominated a senior White House adviser as the US envoy to the IAEA. Laura Holgate -- a special assistant responsible for weapons of mass destruction, terrorism and threat reduction -- was named to go to Vienna. The IAEA will play a key role in monitoring Iran's nuclear activities under the deal, which relieves Iran of sanctions in return for curbs on the country's enrichment activity.